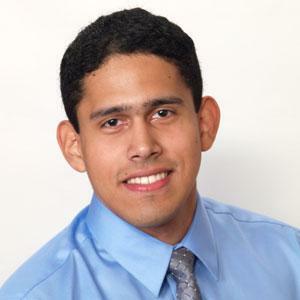 Civil, environmental and geomatics engineering graduate student Fernando Martinez was awarded the 2013-2014 American Concrete Institute (ACI) Kumar Mehta Scholarship. The ACI Foundation offers scholarships for eligible graduate students whose studies relate to concrete. This award was initiated by Dr. Povindar K. Mehta in 2002 to recognize students pursuing research on sustainable development of concrete. Martinez received the award based on his application, resume and essay on the topic of “Fire Resistance of Corroded High Strength Reinforced Concrete.” The award consists of a $3,000 scholarship.